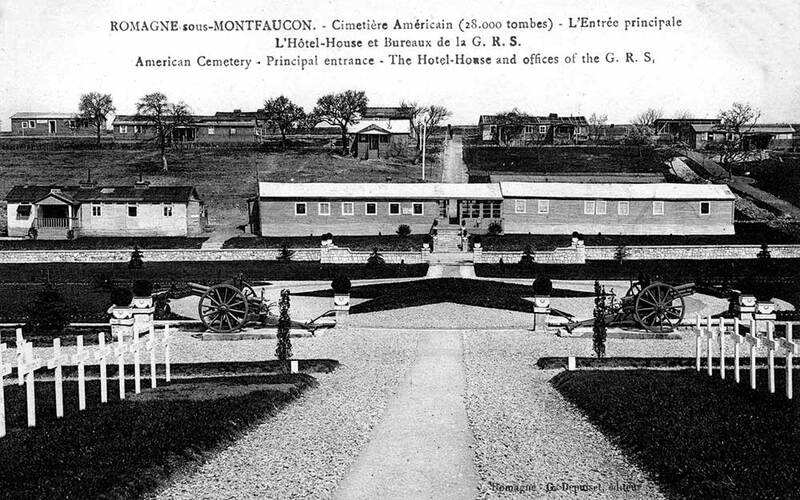 Romagne-sous-Montfaucon, American Cemetery, principal entrance, the Hotel-House and offices. 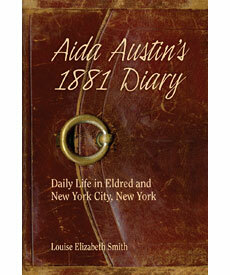 1923 postcard in Aida Austin Collection. 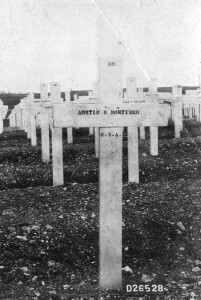 Crosses in the Romagne-sous-Montfaucon Cemetery where McKinley Austin was buried initially. 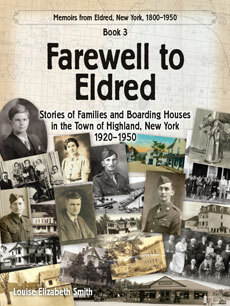 1923 postcard in Aida Austin Collection. McKinley Austin’s grave marker at the Meuse-Argonne Cemetery in France, in Austin Collection. 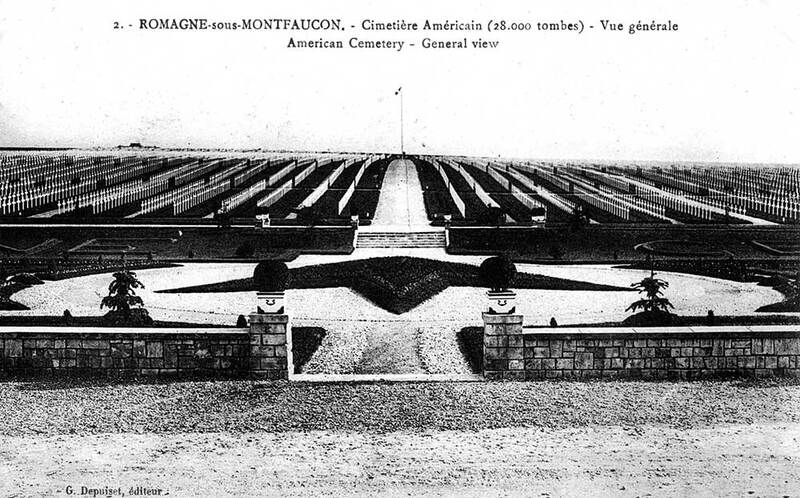 The Meuse-Argonne Cemetery covers 130 acres and holds the largest number of American dead—14,246—in Europe. Most of those buried in the cemetery died during WWI’s Meuse-Argonne Offensive. This point: the left west Romagne boundary of 5th division in the attack of October 14, 1918, Meuse-Argonne offensive. The National Cemetery is located on terrain wrested from the enemy on that day by the 10th Infantry Brigade, 5th Division. Note: Families of the servicemen who had died in France were given the option of having the body sent back to the States. 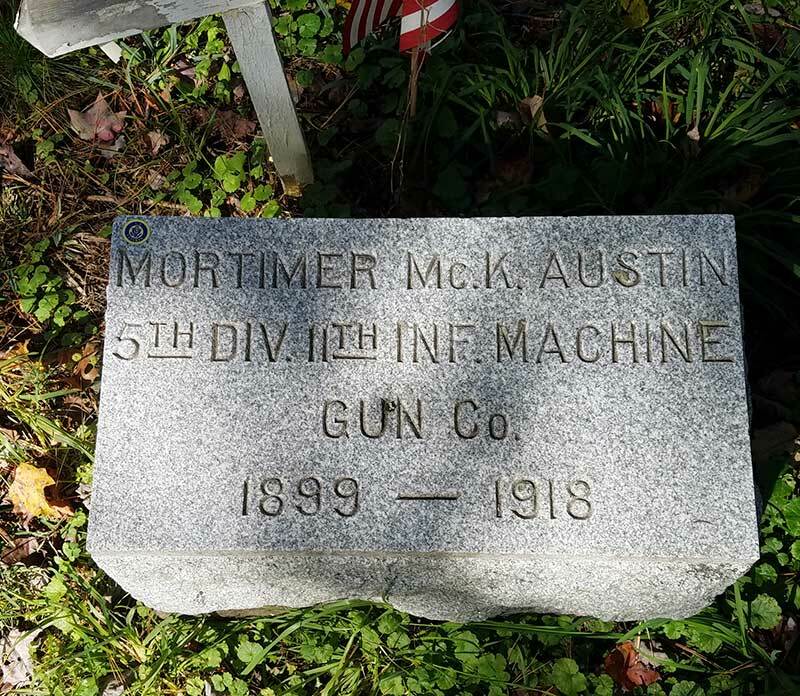 My uncle Mortimer McKinley Austin was later buried in the Old Eldred Cemetery. McKinley’s gravestone in the Old Eldred Cemetery courtesy of Leavenworth cousin Matt S.
This entry was posted in Echo Hill and Mountain Grove, World War I. Bookmark the permalink.